The newly created riding of Calgary-Midnapore deserves a representative who will encourage democracy and offer citizens something to be proud of. 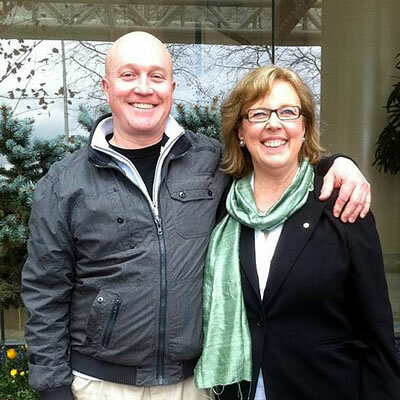 The Green Party of Canada is distinct in that we are bound to focus on our constituents, not the dictates of the party as has been demonstrated in our current parliament. Brennan’s intention for the riding is to provide unprecedented transparency and options for citizen involvement in the decisions and topics discussed in the Parliament of Canada. Like the political imperative to localize economics, The Green Party of Canada is also localizing democracy. Brennan is a community-oriented individual, has lived in both rural and urban settings, and has a broad understanding of national and international events. Having completed his Red Seal Electrician training as well as holding an internationally recognized certificate as a Wind Turbine Technician, he continues to work on industrial and residential electrical generation installations in Western Canada in varying capacities and brings knowledge of the environment to everything he undertakes for the betterment of Canadians and future generations. Brennan Wauters has been an energy and environmental activist since graduating from McGill University with a Master’s degree in Communications. Brennan’s professional life focuses on the new economy based on alternative energy and preserving Canada’s environmental wealth. Brennan also seeks to ensure that equality is given priority in Canadian society as well as ensuring that care to Canadians who are vulnerable or in need is provided while at the same time building a system that prevents Canadians from such adversity. Brennan’s involvement in education has equipped him with the ability to seek consensus in problem solving while respecting and validating different opinions, values, and experiences of people from diverse backgrounds. He has kept a focus on working with youth and young people, believing that alternatives to the current system will have noticeable benefits for youth, indigenous peoples, newly-arrived citizens, and future generations of Canadians.